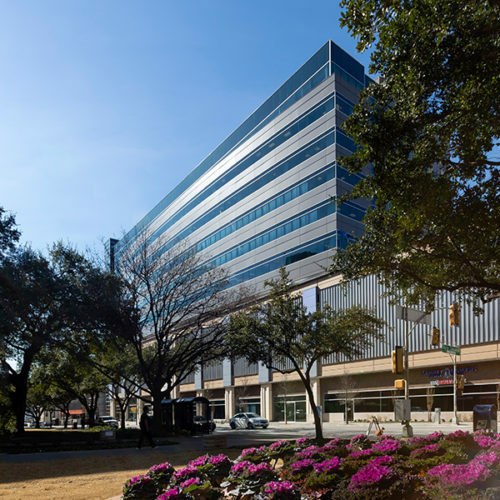 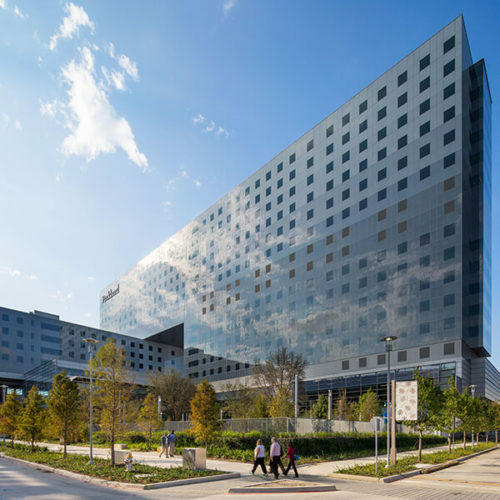 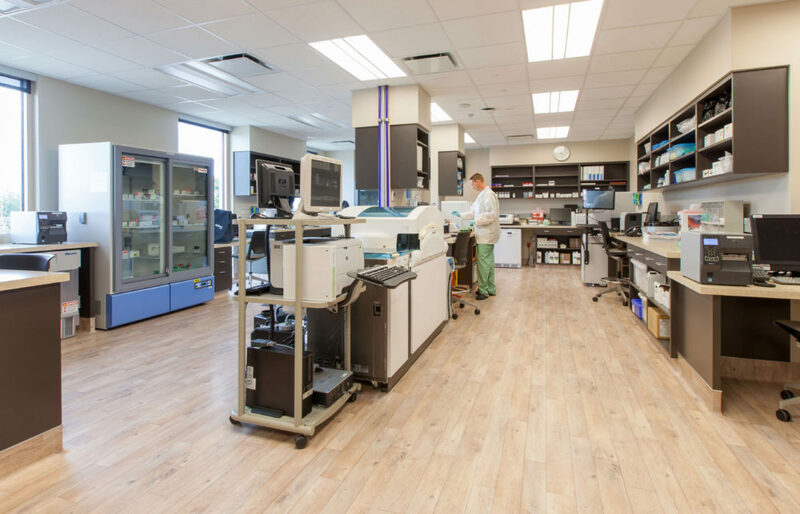 A collaboration between UT Southwestern and the Moncrief Family, this cancer center combines clinical trial research and patient-centered care. 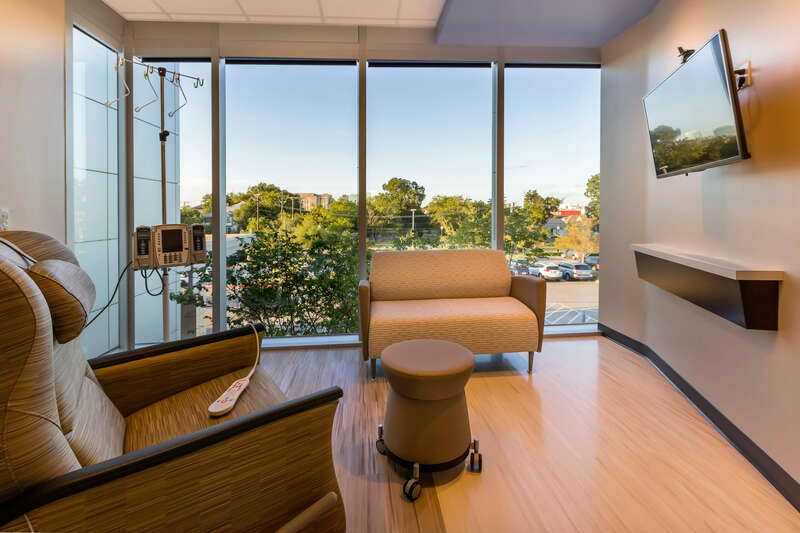 The design empowers patients through customizable, patient-centered treatment options, an upbeat, comfortable interior and cutting edge research and technology. 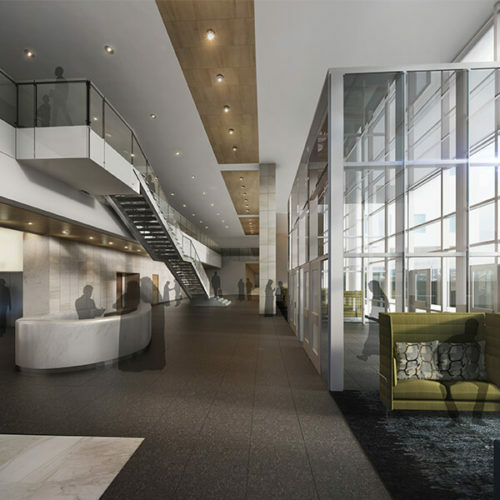 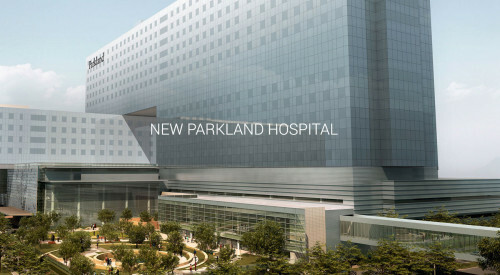 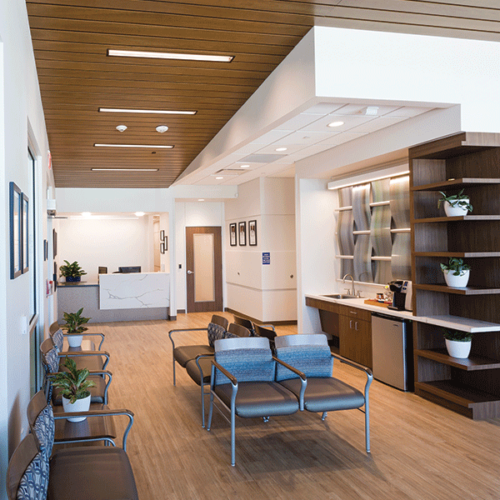 The building’s design empowers patients with two major room designs that offered several choices for receiving treatment. 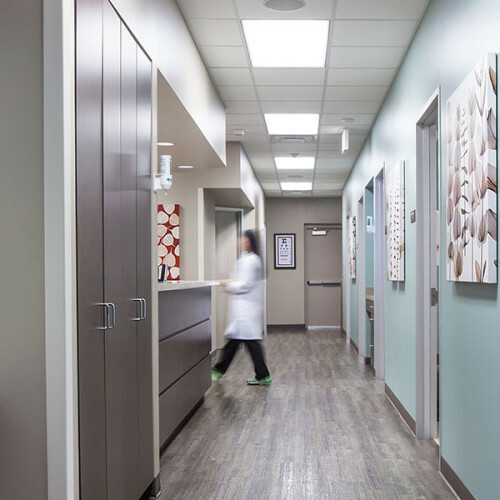 Half of the rooms were designed for patients who prefer a quiet, dark private treatment session and the other half of the rooms are narrow at the back and wide towards the front, opening up to the common room. 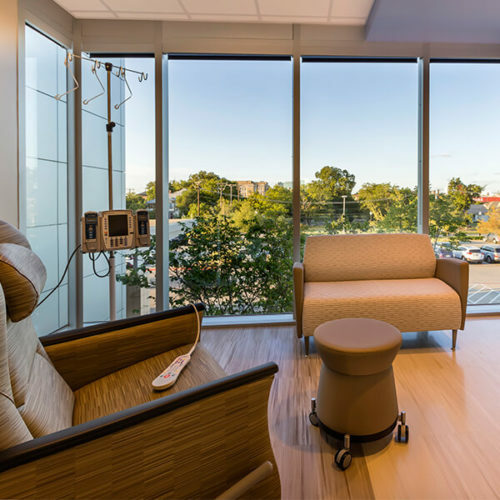 These rooms create a social space for patients who prefer to receive treatment with their family, friends or fellow cancer patients. 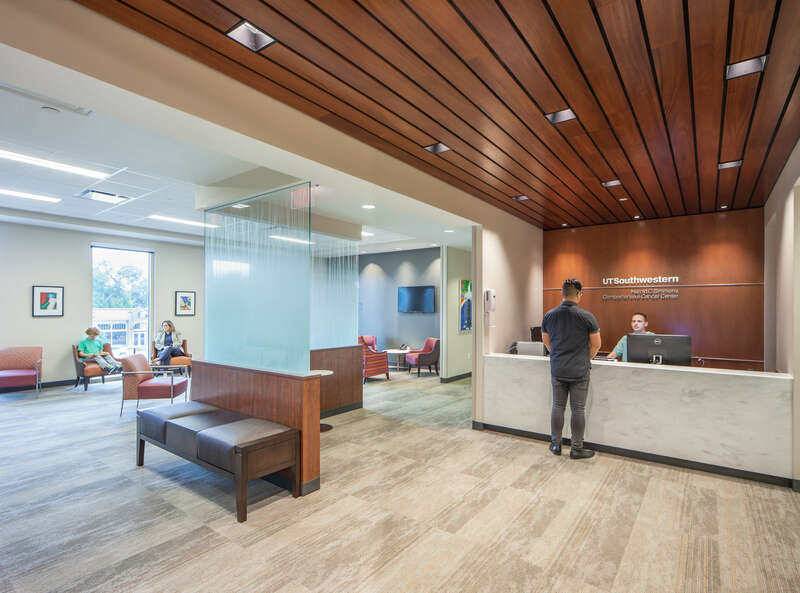 The Moncrief Cancer Institute engages patients with artwork, patient-friendly technology and amenities and an easy-to-navigate design. 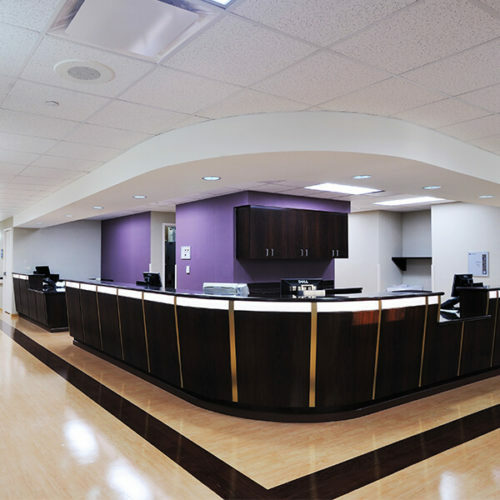 WE ARE COMMITTED TO IMPROVING THE PATIENT EXPERIENCE. 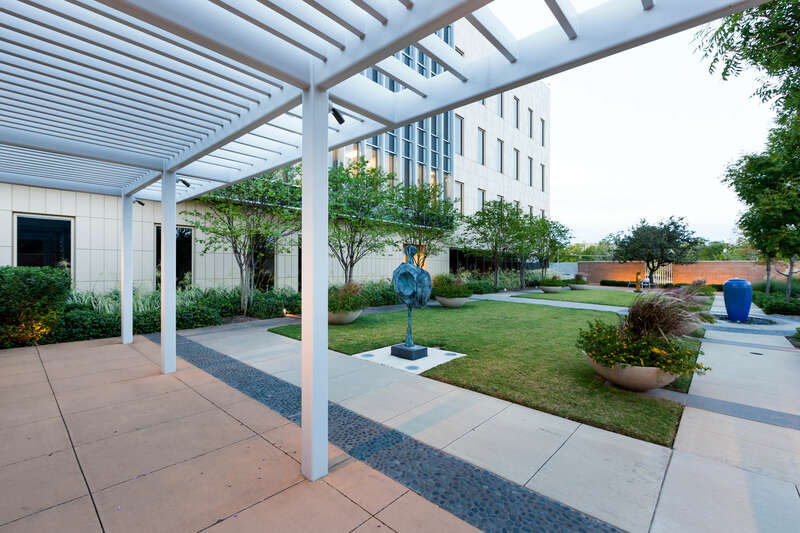 We believe that the built environment impacts quality of life. 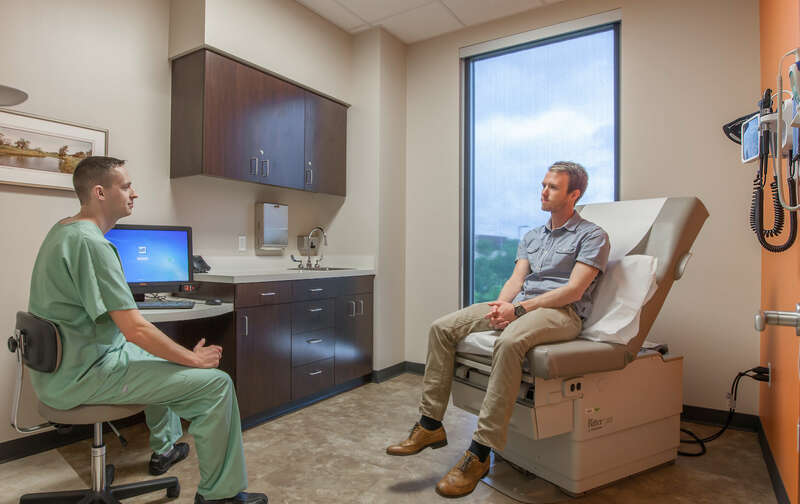 From arrival to diagnosis, we our sensitive to the patient journey and incorporate the latest research related to improving their experience and outcomes. 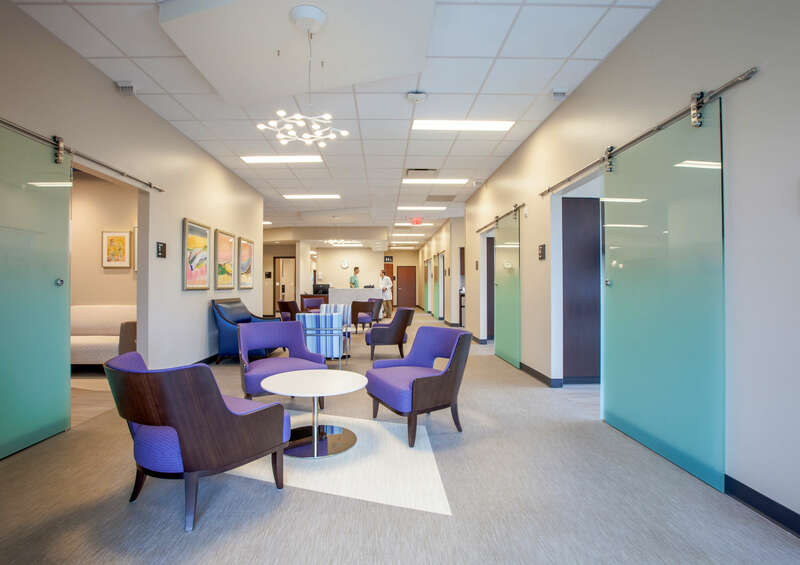 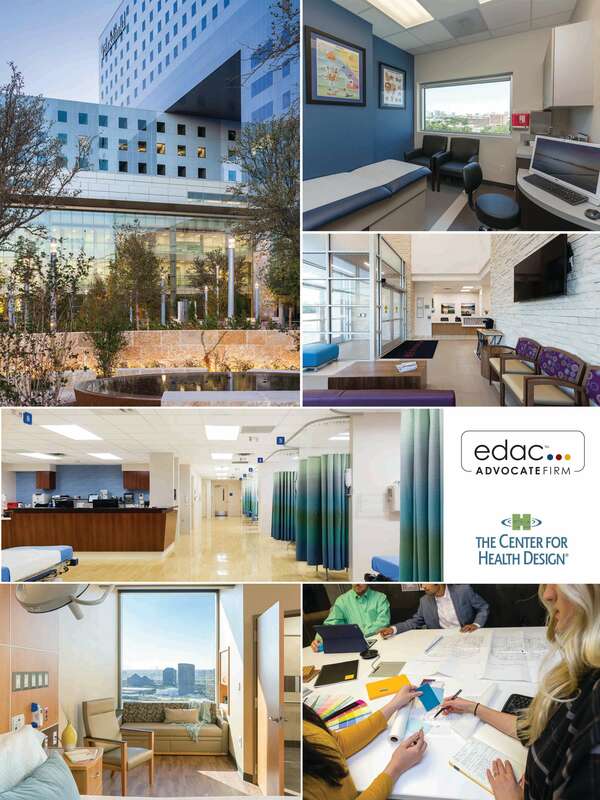 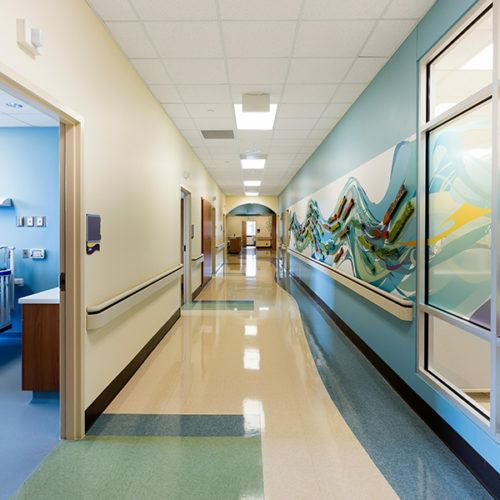 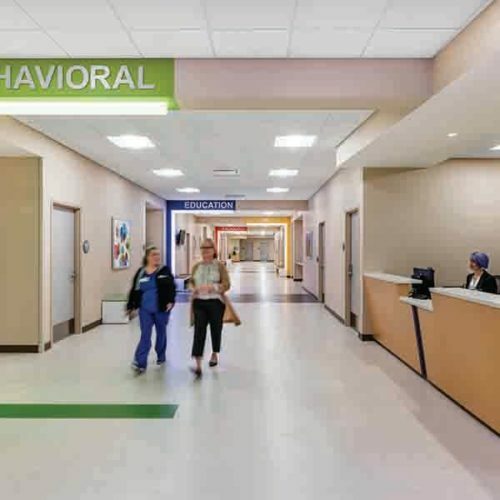 We approach healthcare design by partnering with you and your team to identify the needs of staff, patients and their families. 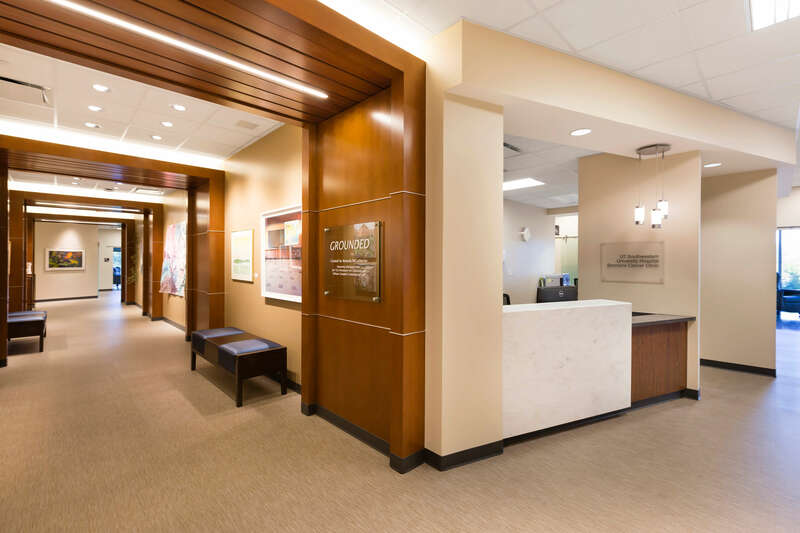 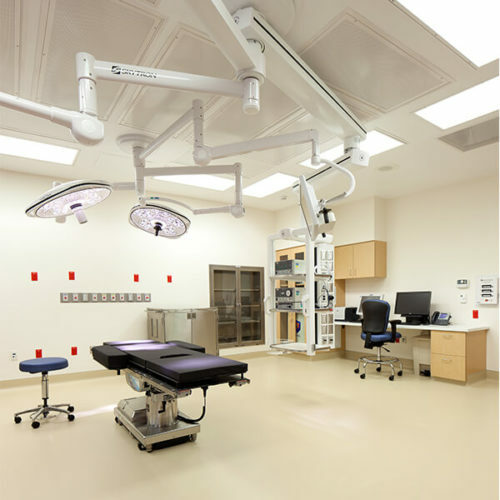 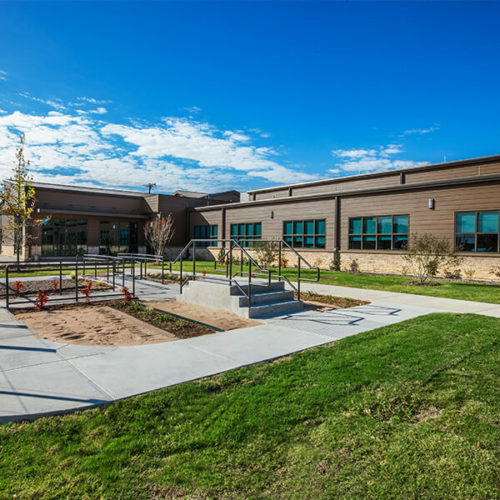 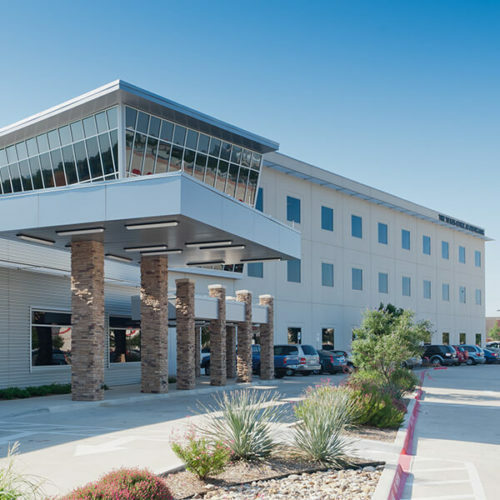 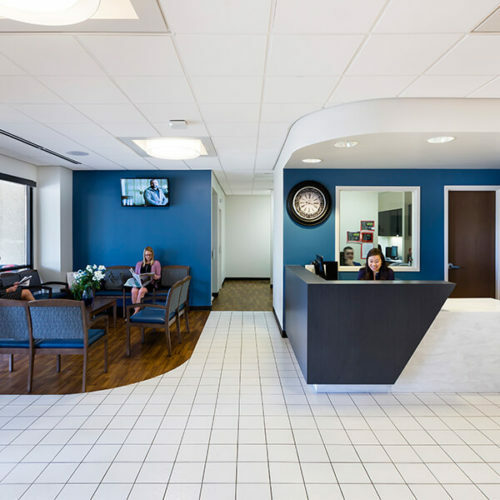 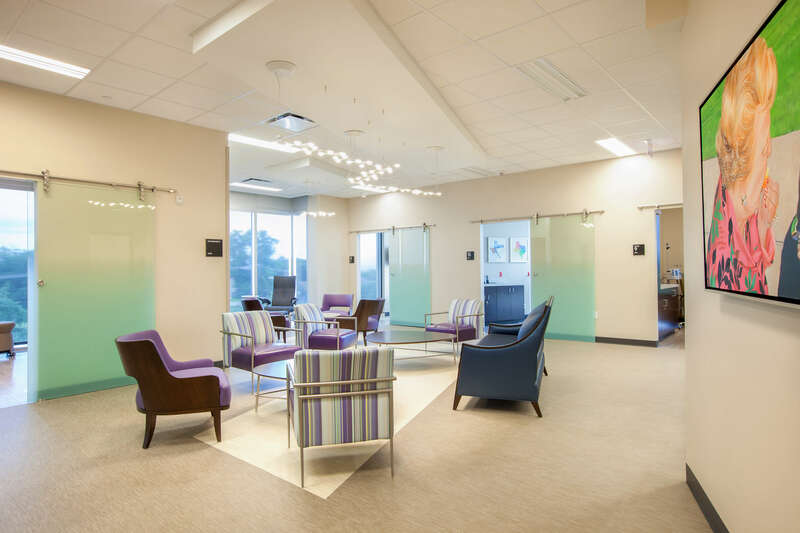 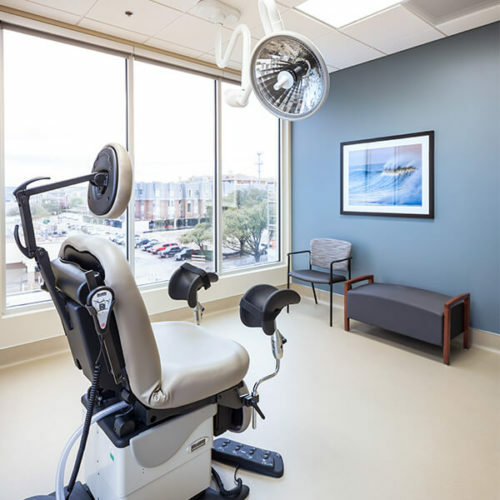 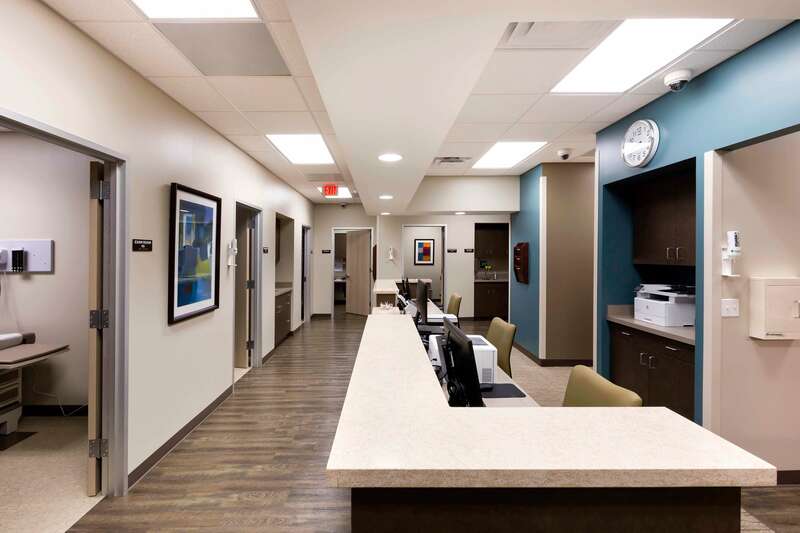 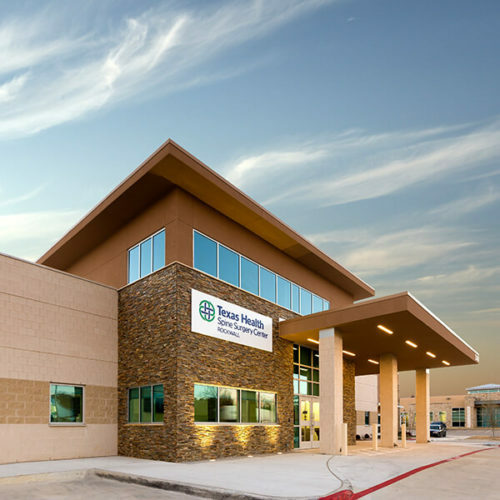 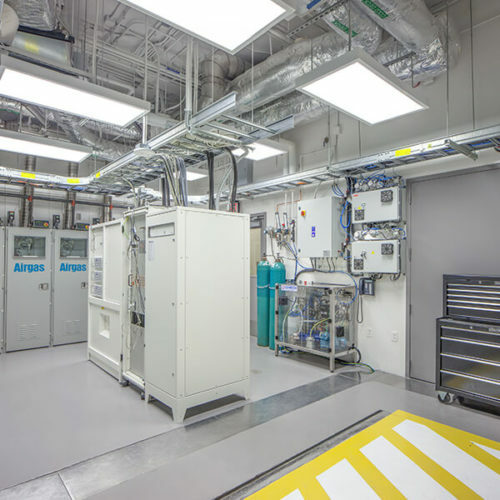 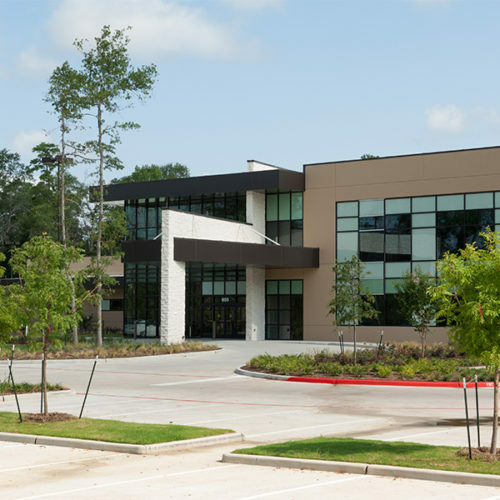 From the equipment and regulations to interior spaces and parking facilities, we understand the operational, clinical and financial objectives to ultimately provide a facility that is beautiful, compassionate and intuitive.